Dr. Reddy is interested in energy sustainability and renewable energy (solar thermal and PV technology), building energy systems, and energy efficiency and conservation in buildings. His research focuses on advanced data analysis and inverse modeling methods; decision-support engineering tools for optimal operation of building energy systems which include condition monitoring, fault detection, supervisory control and dynamic load control; sustainable and low-energy cooling technology for buildings; solar thermal power systems; and the development of automated design and calibration methods using detailed building energy simulation programs. 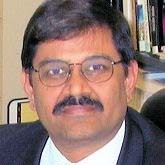 Dr. Reddy is a licensed mechanical engineer, a Fellow of both the American Society of Mechanical Engineers and the American Society of Heating Refrigerating and Air-conditioning Engineers, former Chair of the ASME Solar Energy Division Executive Committee, and a member of the American Solar Energy Society.